Jaded Blossom: Lights, Camera ACTION! Hey everyone! It's Candace from Candi O. 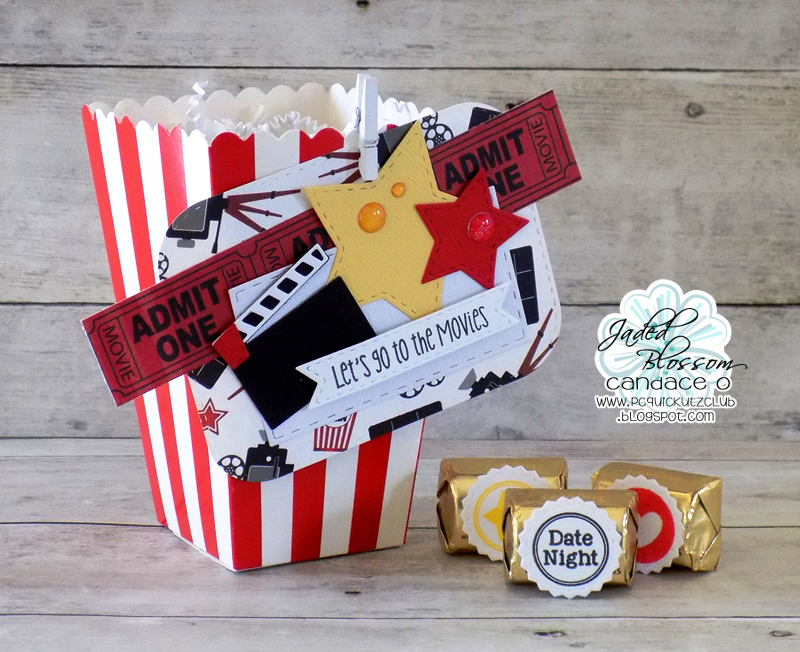 Designs and it's my day over at Jaded Blossom and I am sharing projects I made using the Monthly Spotlight Stamp Set ~ "Lights, Camera ACTION!" 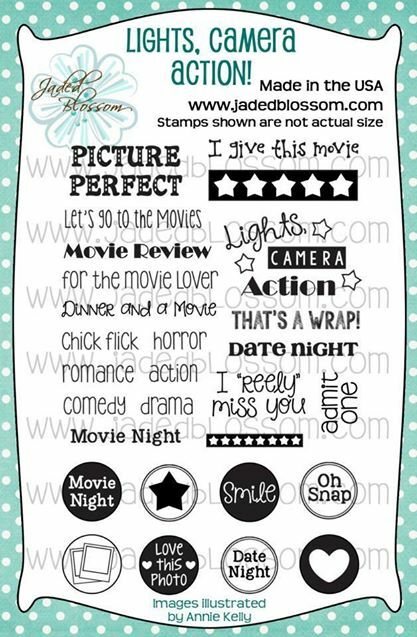 This stamp set is so fun and perfect for the "movie" lover in your life!! I had way too much fun in creating these 3 projects with this set!! Each of them I can just add a movie gift card to and now have the perfect gifts!! your own Lights, Camera ACTION! 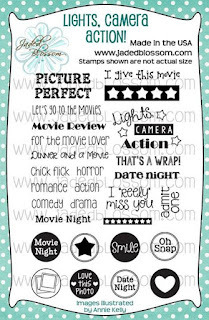 Stamp Set at a great price this month! Super cute!! Love all three!!! Awesome Awesome JOB!! This is so darn cute .... thank you for reminding me of this month's special!! I reeeeely love that card-- and that paper is perfect! You out did yourself!